A pool pump is the single most inefficient piece of equipment on your pool. Standard induction motors operating at high speeds on pumps that are usually oversized are huge energy hogs. 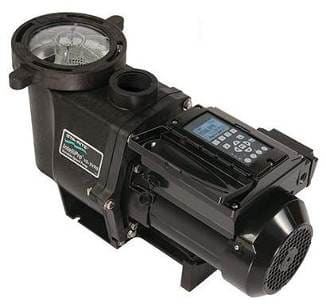 Sizing a pump correctly and using a state of the art, computer controlled permanent magnet pump (like used in hybrid cars) such as the Pentair Intelliflo VS-SVRS can cut your energy usage by as much as 90%. 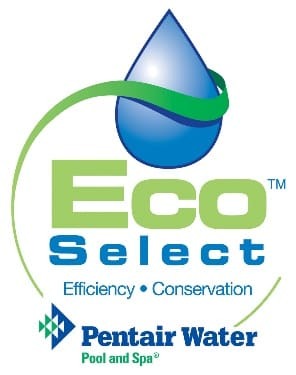 In addition, the Pentair Intelliflo is the QUIETEST pool pump in the world and can cost only $0.49 a day instead of over $3.00 for a traditional, oversized pool pump. That is literally hundreds and hundreds of dollars of savings a year. Imagine spending only $300 a season to operate a pool pump instead of $1100.That is an $800 savings! For virtually all applications, the optimum pump speed will be lower than the pre-set, unchangeable speeds of older pumps. Using slower speeds takes advantage of a fundamental pump characteristic: by going slower, power consumption is reduced. When pump speeds are reduced by half, energy consumption is just one-eighth of what was previously used. The result is additional savings - potentially up to 90% compared to even so-called high efficiency single-speed, two-speed and multi-speed pumps. 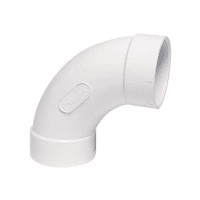 How could something as simple as a pvc elbow improve pool efficiency and lower energy costs? Monogram uses sweep 90° elbows instead of the more readily available standard 90° elbows wherever possible. 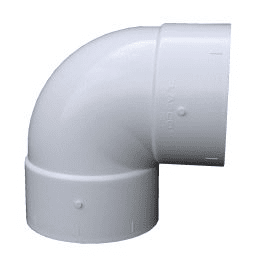 A standard 90° elbow adds the equivalent friction loss of 6' of straight pipe. A sweep 90° lowers that friction loss by 50%. On an average pool, our pump sizing calculations can be based on about 200' less pipe than a pool using the standard, restrictive elbows. Your pump will not have to work as hard, which equates to longer life and lower cost. 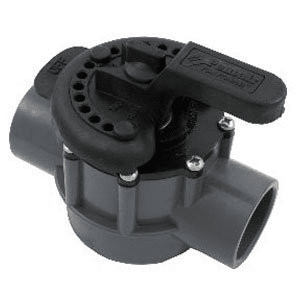 Pentair lube free valves for "Hassle Free" operation that have FULL 2" openings. Jandy (and other valves) only have 1.5" openings so they DRAMATICALLY restrict flow and cause your pool pump to work harder and consume more electricity. We ONLY use Pentair full flow 2" valves and never the more restrictive 1.5" Jandy brand.